There’s nothing quite as exhilarating as the freedom of the open road, and the right campervan means that you’ll be able to experience every part of it. Not only can you explore wherever you want, but you also get to be able to to do it in your own time as well. Camper vans make it simple to make sudden changes to your itinerary, or just park up and rest for the night in the most spectacular surroundings. The trick, of course, is making sure that you have the right vehicle. If you’re dreaming of the open road, but you’re worried about hiring the wrong camper van, then these handy tips might just transform your journey. ● Are there enough seats and beds for everyone who’s travelling with you? ● Are the beds going to be big enough for your children or the adults in your group? ● Do you need a lavatory? Many campervans come with one, but you may not need it if you intend to stay in campsites for the majority of your break. ● Are you legally allowed to drive your campervan of choice? This will come down to the size of the campervan that you want to hire, and your driving license. ● Do you want onboard entertainment? The weather can keep you stuck inside when you least expect it, so it’s worth preparing with some in-built TV and DVD player options. If that sounds like your worst nightmare, then there are plenty of camper vans available that don’t have this option. ● Cooking facilities? Most people hire a campervan because they want to experience true freedom, and being able to cook when and where you want is a large part of that. Make sure that you have the cooking facilities that you need, and if you’re more likely to pop into a restaurant, then you might prefer a camper van without cooking requirements. 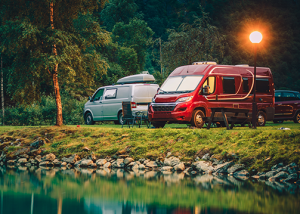 The more that you know about how you’ll be using your camper van, the more likely that you’ll find your dream campervan/RV or motorhome to hire. ● Is there enough storage? You’re going to be taking a fair amount of your belongings with you, so you need to ensure that there’s going to be space to put it all — factor in your changes of clothing, as well as food and toiletries. ● Will you need a bike rack? Taking a bike with you on a campervan adventure is a popular option, but you may not need a model that comes with a bike rack if you intend to stay on foot. If the idea of racing down steep hills is your dream, then a bike rack is going to be essential, so check that your campervan options have one available. Even if you’re travelling to a new spot for the first time, it’s vital that you know what kind of places you’re going to be exploring and where you’ll be staying. Do some research on your destination before you depart. Make sure that you know what kind of roads you’ll be driving on and make a note of ferries and smaller roads that need to be traversed. Hunt down the BEST prices for VW Camper van and Motorhome holiday hire worldwide with our expert search facility, and you’ll have a better idea of how size and onboard facilities will affect your journey. 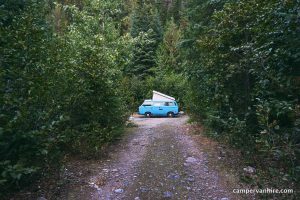 Campervan holidays are the best way to enjoy a break without losing out on your freedom. Ask yourself these questions, and you’ll be sure of getting the vehicle of your dreams!